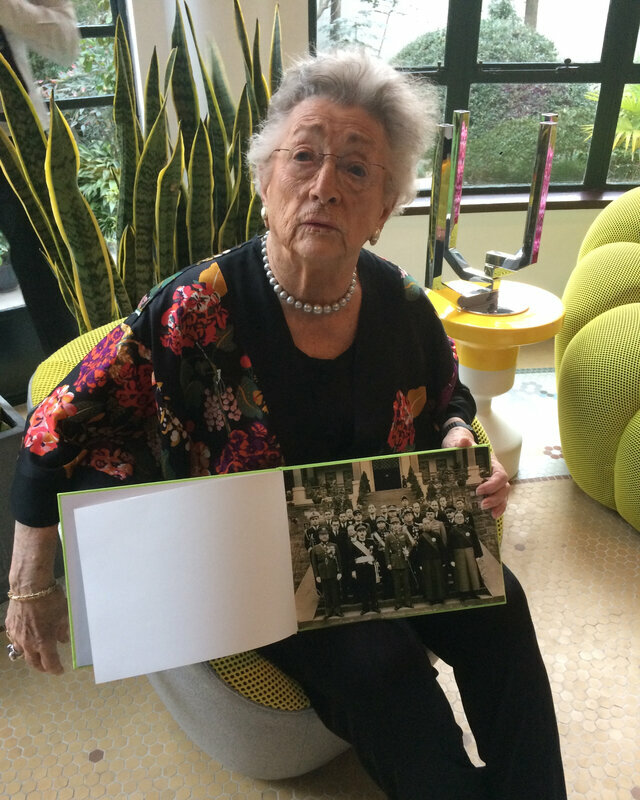 Among the people who actually knew Shanghai 1930s, my recent meeting with Jacqueline Meyrier, the daughter of Consul General Jacques Meyrier, is a special one. We did had the opportunity to discuss with the 90 years old lady who specially came to Shanghai to celebrate her birthday after more than 67 years of absence. This unique event happened at the Villa Basset, the French Consul General residence. Villa Basset (last photo) is well-known by the French community in Shanghai as it is the place to celebrate the 14th of July. 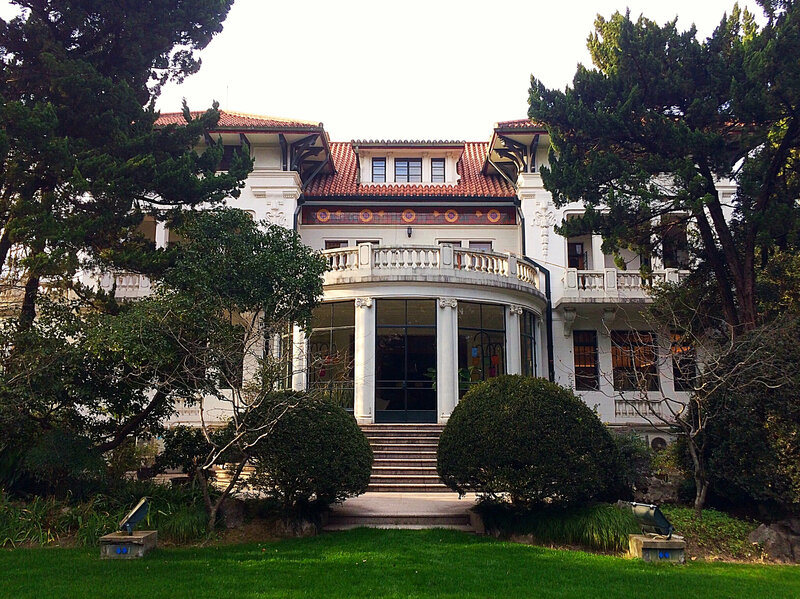 This wonderful house was built in 1921 for a French Exchange Broker named Lucien Basset in a Basque Art Nouveau style. The lovely tiles representing flowers under its flat roof, looking like one in the Collège Municipal Français definitely make this place a great piece of architecture. It became the residence of a famous American-born crook in 1931, Franck Raven, who stole millions from the local missionaries. After the scandal was eventually revealed, the house was seized but only restituted to France, long after diplomatic relations with New China were restored. Consul Jacques Meyrier was born in 1922 in New Orleans, the son to famous diplomat Gustave Meyrier. The latter was Deputy Consul in Turkey then in Armenia where he alerted the world opinion on the shameful Turkish massacres. This is precisely in Constantinople that his son Jacques started his carreer as Deputy Consul in 1916. Then he was appointed to China Shanghai with the same position in 1924 before becoming Consul in Tianjin in 1929. In 1932, the French authorities granted him with the mission of replacing Shanghai Consul General Koechlin, whose collusion with local Green Gang boss Du Yuesheng had become notorious. His task was then to clean up the French Concession from opium trafficking as well as replace corrupted officers within the French Police (read this story fom my other article about Inspector Joseph Hsieh). He would eventually leave Shanghai for Beyruth in 1936 then Rabat in 1942, under French Protectorat, in an effort to restore Free France authority. In 1945 however, he came back to China as the French Ambassador where he frequently met with Chiang Kai Shek and was even made friend with Zhou En Lai. When we met with Jacqueline Meyrier, she proudly showed us her father's photo standing with General Chiang and his Ministers on the steps of Nanjing Government House (first photo). In 1950, like many foreigners, he had to leave China and became eventually the French Ambassador in Spain. 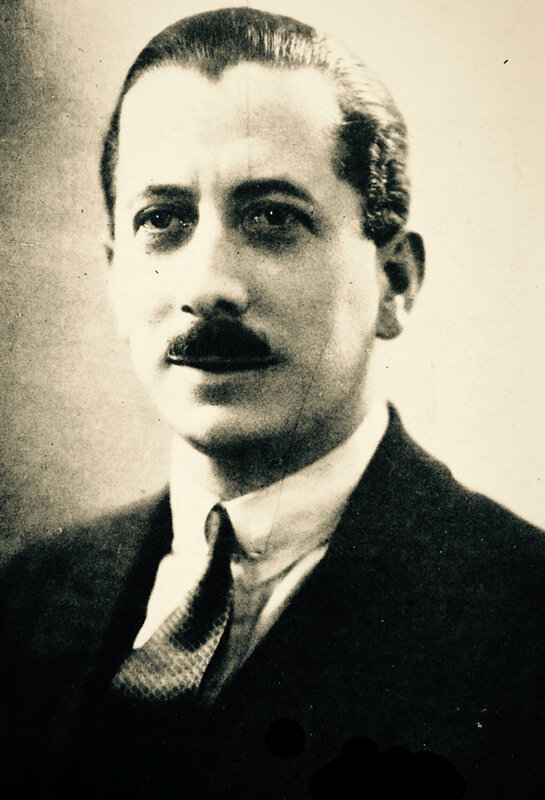 Jacques Meyrier died in 1963. 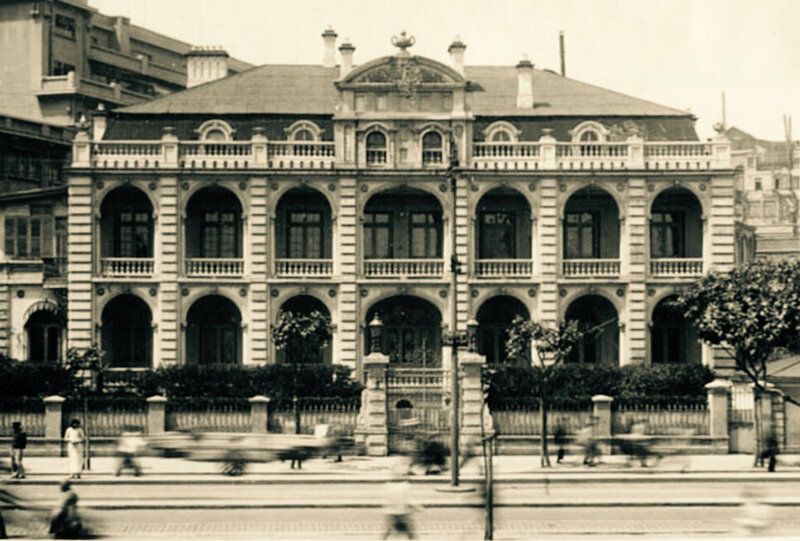 At the time when Jacqueline Meyrier was born, at Shanghai Sainte Marie Hospital Maternity on 6th February 1927, her family stayed at the French Consulate near the Bund (photo next). She remembers going to church on Sunday's at nearby Saint Joseph Church or attending school at the Charity Sister's Institute. "I did not have many friends", she admits, as diplomats' children's life is often a seclude one. She remembers the noise coming from the Quai de France which was always filled with coolies carrying loads off the boats. Her most vivid memories come however with the smells in those years, when "cities were far thilthier than today". This explains why when her family landed after the war on an American DC3 at Chongqing airport, located in the middle of the Yangtse River, she bursted out with a :"This smells like we are back in China!". There were rats running around, she adds, and those could be found in our humble bamboo house back then. When the Meyrier family came back to China, Jacqueline met with her future husband, a Dutch executive working for the Nippon Line ocean liners company. He would eventually make a diplomat of himself. 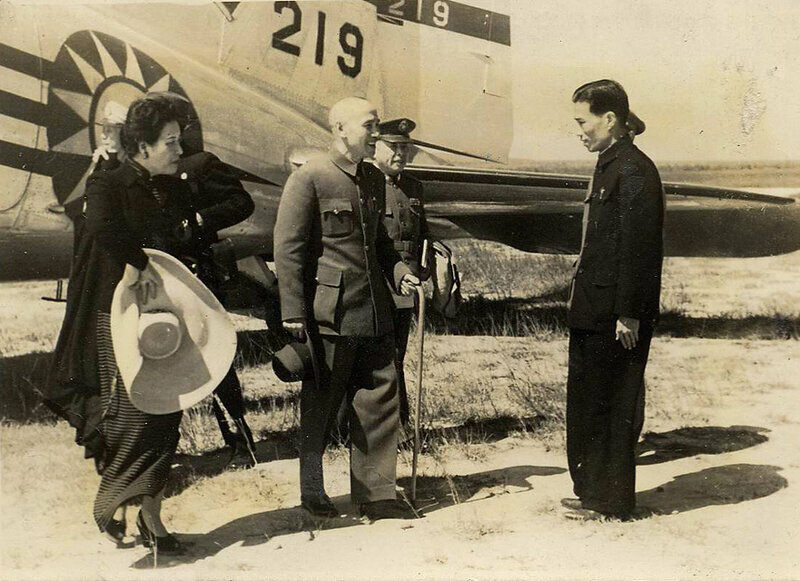 One of Jacqueline's strongest memories was when Chiang Kai Shek's wife, Soon Mei Ling (nearby photo with husband), offered to have her personal taylor to make her wedding dress. This was a long collar qipao, with short sleeves and slit on the leg! Soong Mei Ling told her: "You were born in China like me and now also marry in China, so you are half Chinese!". In 1946, Jacqueline left China to follow her husband, this one eventually becoming the Dutch Consul General in Belgian Congo, among other countries! She only stayed two years in France in her entire life, including one in 1944 at the Liberation of Paris, an unforgettable moment she says, as French people were so happy to regain their freedom. She moved up to 23 times in total! Not surpringly when she is asked about why she never returned to China till now, she answers she was simply too busy visiting her children living in Italy or Argentina. For her 90 years birthday, however, she could not resist to see her childhood place again. When staying at the Okura Garden Hotel, she suddenly realized she used to come there as a child, then the Cercle Sportif Français. Aged six at that time, her "amah" used to take her in the garden as adults were enjoying lunch or dinner inside. From China, she also recollects the taste of "baijiu" which she had during official venues in the 1940s. She decided to have a glass of it for her 90th birthday. So happy Shanghai birthday Jacqueline! Da ke tang, ma tasse de thé!